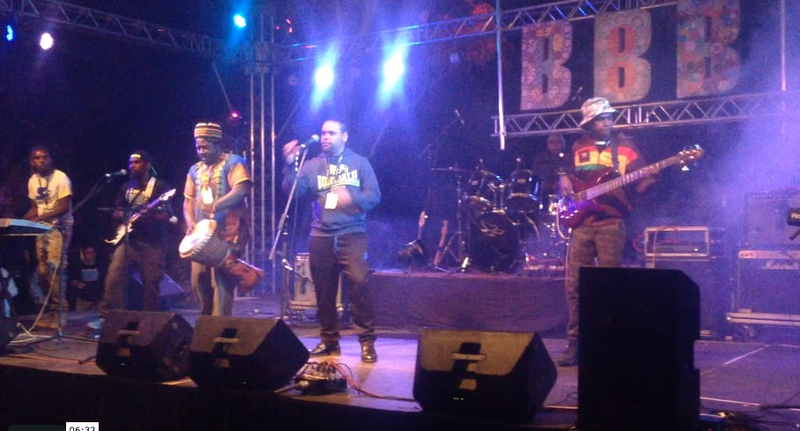 Irrunytju Band was one of eight artists who rocked the crowd at the Old Telegraph Station in Alice Springs last weekend as part of the 2016 Bush Bands Bash. Bush Bands Bash is an annual event organised by MusicNT and supported by a number of RIMOs and other organisations around the NT, APY and Ng Lands. It also includes a development program called Bush Bands Business that in run in the leadup to the concert. NG Media supported the participation of the Irrunytju Band through transport, management and other logisitical support. Congratulations to all the bands involved for a great concert! Get a front row view of one of the songs from the Irrunytju Band's performance (complete with jostling!) via the video link below.